For Paul Burns, Founder and Chief Ceramicist at Fireclay Tile, the deafening sound of crushing porcelain toilets is strangely melodious. The deconstruction of old and inefficient toilets gives Burns the strong stabilizer he needs to create Debris Series Recycled Tile, made from over 70% post- and pre-consumer waste. In finding a purpose for outdated plumbing fixtures, Fireclay Tile has diverted 150 tons of porcelain waste from landfill so far. Burns had long had a habit of dialing for alternative usable waste and was accustomed to being hung up on. When he reached out to Michael Gross of Zanker Recycling in San Jose, the response was a pleasant surprise. In an interview on NPR, Gross says, “I’m always looking for local markets for my garbage and this is a nice niche for our toilets.” Gross anticipates crushing another batch of toilets for Fireclay later this year. Before he began incorporating porcelain into eco-friendly tile, Burns had been working with other waste materials, such as granite dust from a neighboring industrial plant and glass dust from a bottle recycler. “I’m a scavenger,” says Burns. “Ever since I was young, I loved taking things, mixing them together, and seeing what I could create.” He started making tile at the age of 10, apprenticing with his uncle. 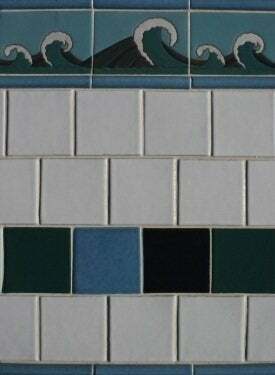 By 15 Burns had enviable tile-making skills. At 28 he started Fireclay with three partners. Since 1986 the company’s mission has been to make beautiful and sustainable tile. Debris was launched more than 12 years ago, after two years of trial and error. “Tile-making requires patience,” Burns advises. He is constantly tweaking the formula to include better waste materials. Due to its locally sourced recycled components, closed-loop manufacturing methods in a daylit factory with natural-gas kiln, and recyclable shipping supplies, Debris is a great choice for architects and designers and homeowners pursuing LEED. Debris comes in 112 colors, solid or decorative, matte or shiny, smooth or sculpted, and in many shapes and sizes. Beyond interior designers and homeowners, corporate admirers such as Whole Foods, Google, and Ciao Bella appreciate Fireclay’s variety, quality, and mindful business practices. Retail prices for 4” x 4” and 3” x 6” tiles are $23.70/sq. ft.
To learn more about the process of making Debris Series Recycled Tile, view the video below. 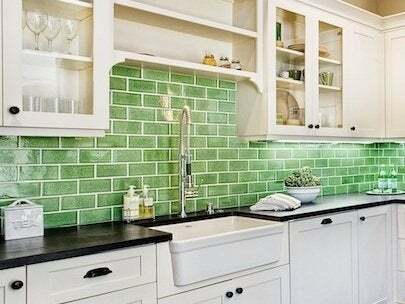 For more information on Fireclay Tile—the company and the products—click here.